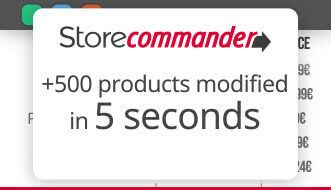 From a PrestaShop installation, Store Commander's applications save you time when it comes to back office, catalog and order management. October 2018: New: Adding references on combinations: in bulk of course! Automate a catalog update, modify prices in just a few minutes, customize the organization of your online shop... the speed of our systems is a breakthrough in PrestaShop backoffice management. Single store or multistore, telephone helpline, complementary add-ons... everything is configurable and customizable. 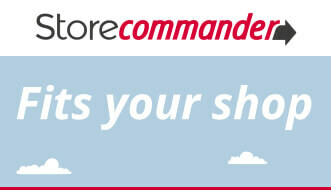 All Store Commander licenses include access to the support platform. Installation, practical advice, manipulation, module, back office management... Our customers are delighted by our support service. Reactivity is essential to success on the Web! SEO, links to marketplaces, interface with software publishers, web agency: E-commerce specialists strongly appreciate the simplicity of our systems and add-ons to complement other programs. Store Commander benefits from a quick fix rollout: as soon a problem is detected, it is fixed within the same day. This translates into a better security for you as a merchant. Our solutions are attractive not only to numerous e-merchants, but also to web-based agencies specialized in e-commerce. 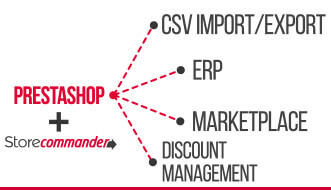 More than 150 partner agencies use our programs to customize online shop management.